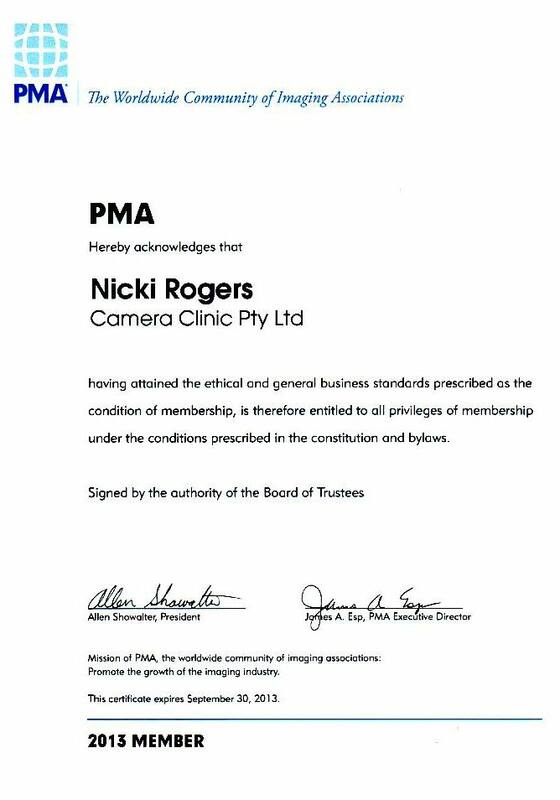 Camera Clinic management are members of PMA & DIMA. Laurie is an Honorary Life Member of PMA and was the past PMA Chairperson for Victoria. Camera Clinic provides lectures at the PMA seminars for the professional photographer and general public. Providing the audience with general service information, maintaining your own equipment, card recoveries, CCD-Imager cleaning and camera principals. Information evenings held for our VIP cliental, providing them with drinks and nibbles, service/maintenance information and question and answer time.